Vishnu Greens, Lal Kuan, Ghaziabad with its brand-new interiors is the perfect place to host grand and intimate weddings. It has three areas out of which two are halls and one lawn that can host different types of events like mehendi, sangeet and even grand weddings. The venue will make arrangement for your food as well as the decor. With such facilities in place, you are sure to have hassle-free arrangements in no time. It has ample parking space and pleasing atmosphere and is one of the best banquet halls in Ghaziabad, Delhi. It has a fully air-conditioned banquet hall covering up to 10000 sq ft. making it apt for lavish affairs. 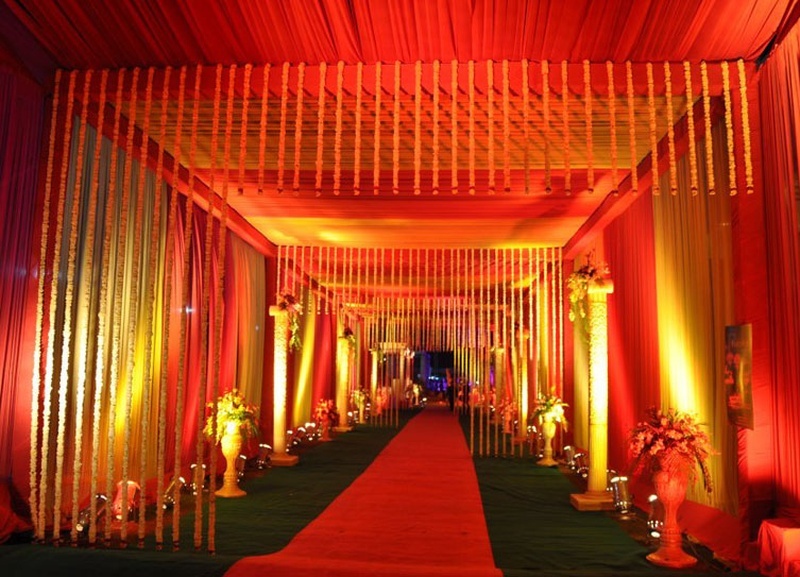 If you wish to add more grandeur to your parties, this banquet hall in Ghaziabad offers a farmhouse as well. For small functions like birthday parties and anniversary celebrations too, it provides a mid-sized banquet hall. Ample parking space for your guests adds to the list of conveniences. At Vishnu Greens, you are sure to celebrate your love and togetherness and take home an experience that will be remembered forever.